Sanjana, Nutan Naidu, Kiriti Damaraju, Shyamala, Bhanu Sree and Tejaswi Madiwada have been eliminated from Bigg Boss Telugu 2. Nani is set to bring one of them back as wildcard entry. 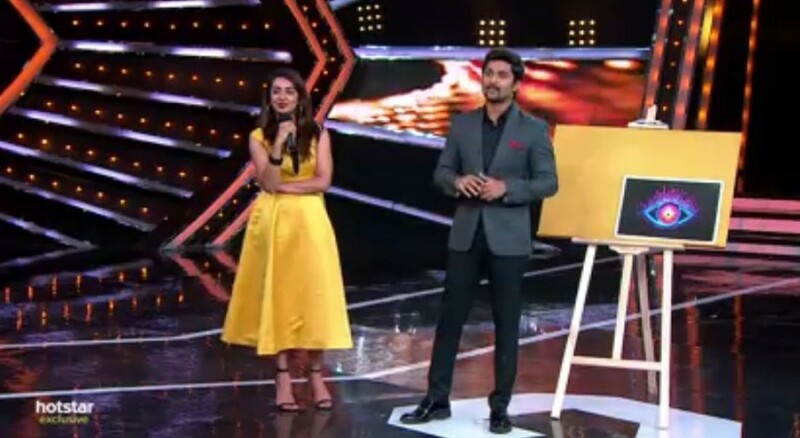 Host Nani has announced that one of the six contestants, who were eliminated from the house of Bigg Boss Telugu 2 in the previous weeks, will be brought back on the show as a wildcard entry in the coming week. As the entertainment factor is shooting higher, the drama in Bigg Boss Telugu 2 is significantly increasing too. Sunday's elimination had Tejaswi Madivada dropping out of the show. It seems like the Bigg Boss has other plans for this week. Tejaswi Madivada had to leave the Bigg Boss Telugu 2 show after she got herself nominated in one of the tasks. Tejaswi had taken up the nomination on her shoulders saving Nandini from getting into the danger zone. The ex-contestants have got another chance to jump into the show again. Before you indulge in a guessing game, here we go! A promo was unveiled a while ago by the Bigg Boss Telugu 2 organizers. Nani is seen announcing an unimaginable twist. From the ex-contestants of Bigg Boss, anyone contestant can give a re-entry into the house, with the help of voting. Bigg Boss Telugu 2 organizers are to arrange a voting for the ex-contestants who got eliminated from the show. The highest number of votes would help an individual contestant to enter the Bigg Boss show again. So far, Sanjana, Nutan Naidu, Kiriti Damaraju, Shyamala, Bhanu Sree and Tejaswi Madiwada have been shown the door in Bigg Boss Telugu 2. A poll is to be held and the audience will be given a chance to help their favourite ex-contestant re-enter the show. The voting will begin soon giving a new opportunity for the ex-contestants of the show to prove their strength once again. The viewers of the show are now waiting to know which ex-contestant is lucky enough to get a re-entry into the Bigg Boss house again. On the other hand, Kaushal is gaining huge support from the majority of the audience and has become one of the strongest contestants of the season. Geeta Madhuri, Babu Gogineni and Tanish are among the strong contenders though, with a huge following on social media. Now all eyes are on Tejaswi as she may re-enter the show via wild card.